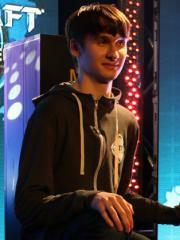 Alex "Neeb" Sunderhaft is an American StarCraft II player. At present, Neeb is ranked #215 in highest overall earnings, and #28 in highest earnings for players from United States. Before his 18th birthday, Neeb was awarded $19,617.00 in cash prizes from 26 tournaments. 4.69% of his total prize money was earned before February 17, 2016. Out of the 153 tournaments awarding cash prizes that Neeb had competed in, the largest amount was $50,000.00 from WESG 2016 (SC2) on January 15, 2017. His 3rd place finish makes up 11.97% of his total prize money won. On November 5, 2016, Neeb arrived at the $100,000 milestone, winning $15,000.00 and placing 5th-8th at WCS 2016 Global Finals. Prize money from 57 tournaments got him to that point. Neeb has been awarded $15,840.00 in cash prizes from 3 tournaments within the last 90 days, none of which came in the last month.